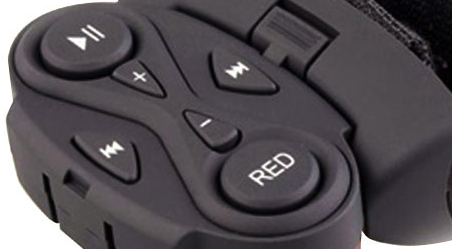 How would you like a fancy looking steering wheel remote control in your car? How about one made by Apple themselves? Well, Apple was granted a patent by the US Patent and Trademark Office today for what looks like a piece of hardware taken from the iPod Classic. 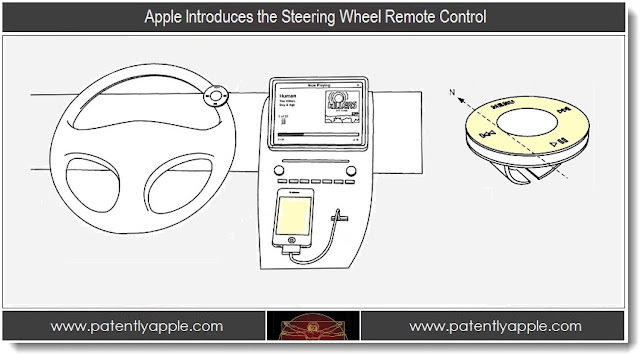 Check out this patent diagram from Patently Apple below. As you can see, the remote looks like the touch-controlled jog wheel on an iPod classic with a clip that is supposed to fit on your steering wheel. The remote will connect to your iPhone via bluetooth, giving you access to the audio source playing. You won't need to buy a steering wheel control interface, which has to be programmed every time you upgrade your car stereo. Apple gets quite a few hardware patents approved each year but many of those products don't reach production. This one, however, is the first real attempt by Apple to 'invade' your car. I am open for an Apple takeover though. Simply because of their track record of making products that actually just work! So whether this steering wheel control sees the light of day or not, it's a start. Hopefully more to come on this front. If Apple would just come out with an iCar or something similar to the AppRadio, I'd buy it in a heartbeat. I'm sure no one could do iPhone integration with the car better than Apple, considering they were the ones who created it.